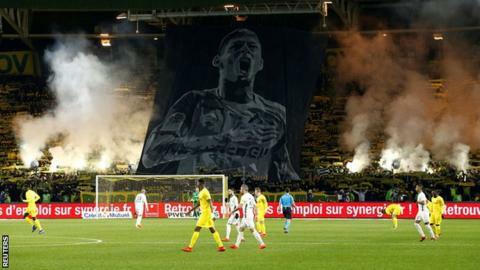 The French club's fans set off flares and held up a giant banner of Sala in their first game after the Argentine striker disappeared in a plane crash. Sala scored 48 goals in 133 games for Nantes before leaving to join Premier League side Cardiff. He died when a plane - piloted by David Ibbotson, who remains missing - crashed into the English Channel on 21 January.